The Ministry of Tourism and Environment (Albania) invited Beta Studio to present the on-going project, financed by the World Bank, aimed at quantifying Bovilla and Ulza reservoirs’ natural tendency to silt and identifying appropriate counter-measures. 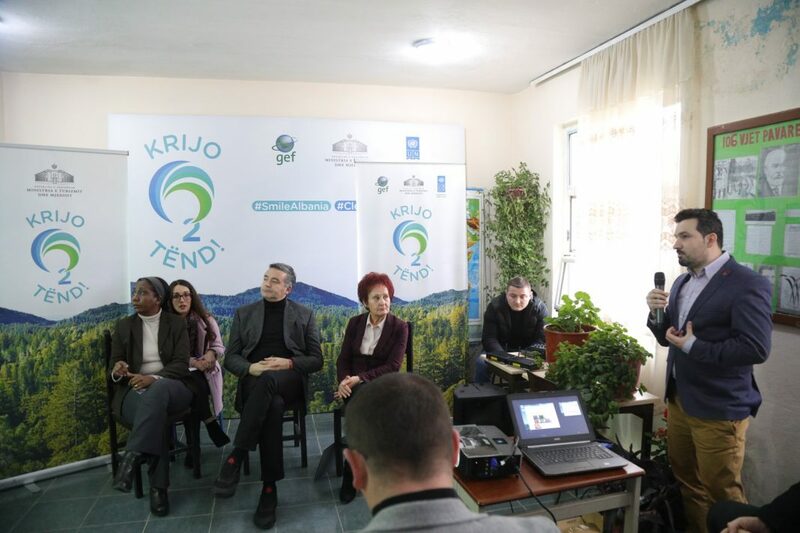 On January 22nd at Zall Bastar, a locality situated in the Bovilla basin, project objectives and results were presented in the presence of the Minister of Tourism and Environment and other key Stakeholders, including the Vice Mayor of Tirana, the Director of UNDP Albania, a delegation of representatives of the European Commission, the Director of UKT (dam’s owner), the local government along with local experts, students and residents. The presentation aroused great interest among the audience, including the Minister, who joined the debate and gave a positive feedback on the project.